The exiled political leader of Hamas, Khaled Meshaal, has begun his first ever visit to Gaza, to mark the organisation's 25th anniversary. 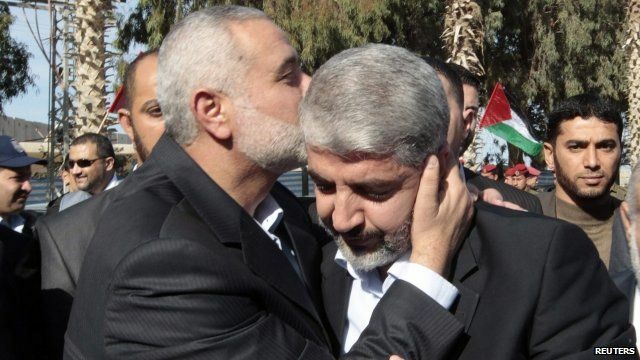 Mr Meshaal had not set foot in the Palestinian territories since leaving the West Bank in 1967, and kissed the ground as he crossed the border with Egypt. Maxine Mawhinney has more details.